Town of Mississippi Mills (Lower Tier Lanark)Record Owner? Log in. 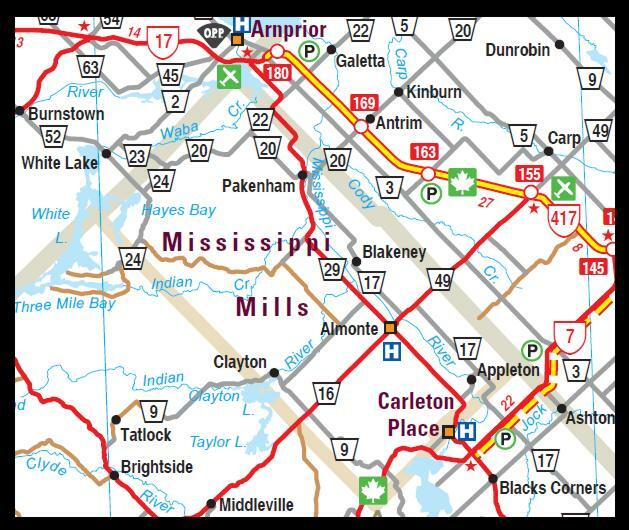 The former Town of Almonte joined with the townships of Pakenham and Ramsay to form the new Town of Mississippi Mills. This new town makes up the northeast boundary of the County, and borders the Town of Carleton Place and the city limits of the newly amalgamated City of Ottawa. Have something to say about Town of Mississippi Mills (Lower Tier Lanark)?